The SEA Games football competition hardly sits at the pinnacle of the global game. Yet, when it comes around every two years, some of the world's top football observers find it hard to give it a miss. Football matches in Asia, say football betting analysts and sports integrity officials, have a high tendency to be flagged for suspicious betting - as was the case during last month's SEA Games in Malaysia. The irregular betting patterns around three SEA Games matches led betting experts to believe that the matches were likely fixed as some bettors had prior knowledge on the outcome. The flagging of the matches follows a 2015 Singapore SEA Games match in which a Singaporean was jailed for attempting to fix a match between Malaysia and Timor Leste. Mr Michael Hershman, chief executive of the International Centre for Sport Security (ICSS), said that while match-fixingis very much a global problem, "ICSS investigations and media reports highlight that many match-fixing cases can be traced back to organised crime groups in Asia". In recent months, The Straits Times was shown a list of more than 60 football matches played since 2011 by Asian teams that were suspected to have been manipulated. They include matches played in the Asian Games, Asean Football Federation Suzuki Cup, international friendlies and the ongoing 2018 World Cup Qualifiers. Globally, a 2013 report by The Guardian, which had interviewed a betting analyst from Sportradar, said of the 30,000 games monitored, more than 250 football matches were likely to be fixed each year. ICSS investigations and media reports highlight that many match-fixing cases can be traced back to organised crime groups in Asia. MR MICHAEL HERSHMAN, chief executive officer of International Centre for Sport Security. It becomes a vicious circle. Younger players will think it's the norm when they see senior footballers and officials taking bribes. MR MICHAEL PRIDE, a sports integrity and security consultant. Earlier this month, the Football Association of Ireland launched an investigation into alleged match-fixing in its Premier Division. It follows 12-month suspensions handed out to two players for breaching rules relating to manipulated matches and gambling. But the links to Asia are usually the strongest. Several factors make it conducive for syndicates to target Asia. One is the rapid growth of online betting, especially within the semi-regulated and under-regulated sport betting markets in Asia, said Mr Hershman. The Daily Mail reported in 2015 that the global sports betting market was worth up to US$3 trillion (S$4 trillion), quoting betting expert Patrick Jay. He estimated 65 per cent of that figure was spent on football betting, with the Asian market being the centre of sports gambling. Investigators know match-fixing has close links to illegal sports betting and organised crime groups, said Mr Christian Kalb, an expert on sports betting and sports governance. Mr Kalb told The Straits Times: "Asia is the most important continent for sports betting. In Asia, 77 per cent of sports bettings' gross gaming revenue and more than 90 per cent of sales remain illegal." In a region where poverty is a reality, some sportsmen may be tempted to take bribes. Said Mr Hershman: "Lower wages for players and athletes... is also a significant contributing factor within the region as match-fixers and organised crime groups tend to target players and teams who are more vulnerable as a result of their lower incomes." To some, it comes as no surprise when nations like Laos, Cambodia, Nepal and Indonesia often feature in suspicious matches. Number of football matches that were likely to be fixed each year, according to a 2013 report by The Guardian, which had interviewed a betting analyst from Sportradar. Mr Michael Pride, a sports integrity and security consultant, pointed to an attempt in 2011 to corrupt a Lao footballer at about the same time when the Asean Football Federation Under-16 Youth Championship was held in Vientiane, Laos. A match-fixing agent had then told the teen footballer "to be smart" in a telephone conversation. When young footballers fall prey, there is a chance they would continue working for match-fixing syndicates as their careers progress. Said Mr Pride: "It becomes a vicious circle. Younger players will think it's the norm when they see senior footballers and officials taking bribes." To be fair, Asian bodies had stepped up efforts to combat match-fixing. In February, the Asian Football Confederation disciplinary committee served life bans to 22 football players and officials from Laos and Cambodia for match-fixing-related activities. In Singapore, the alleged global match-fixing kingpin Dan Tan has been detained since 2013 without trial under the Criminal Law (Temporary Provisions) Act. He had been described by Interpol as "the leader of the world's most notorious match-fixing syndicate". Singaporean Wilson Raj Perumal, dubbed the most notorious football match-fixer in the world, has been based in Hungary since 2012 under a witness protection programme while aiding investigations into widespread corruption in football. The convicted match-fixer, a former associate of Tan, could be released into Singapore custody this year, which could yield a breakthrough in match-fixing investigations in this region. Some experts believe that in order for Asia to take the fight against match-fixing up a notch, law enforcement agencies need to take a more serious view of it. 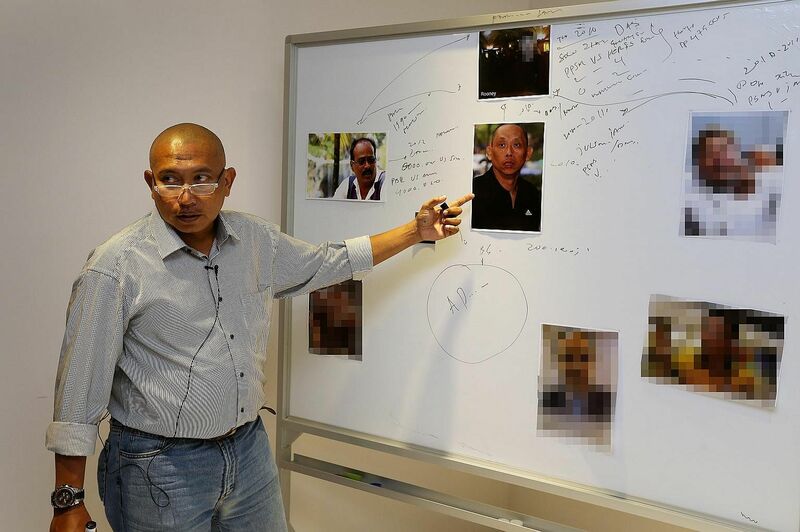 Indeed, sources tell The Straits Times that several prominent suspected match-fixers are still very active in Malaysia and Indonesia. Often, it may be down to already stretched agencies lacking resources, training and legislation to confront illegal betting - a crime that crosses jurisdictional borders. Sometimes, it could be simply about priorities. Said Mr Kalb: "Match-fixing is a secondary issue, after terrorism, migrants, economic crisis and unemployment. But politicians don't understand that match-fixing is related to crime and that crime is a main issue, central to all these previous concerns."